The Bissell PowerFresh Lift Off Pet Steam Mop 1544A is another of the great Bissell Steam Mops but with an interesting twist. The ‘Lift Off’ part can be detached from the steam mop to turn it into a multi purpose hand held steam cleaner. The most interesting feature of the Bissell PowerFresh Lift Off Pet Steam Mop is that it not only steam floors very well but that it has the removable Lift Off Pod section that turns it into a very handy handheld steamer that can be used anywhere for a multitude of tasks. It has 13 specialized tools that includes an extension hose, window squeegee, fabric steamer, flat surface cleaner, scraping tool and a variety of brushes that are color coded making it possible to keep the bathroom brushes separate from the kitchen brushes. There is also a microfiber mop pad for everyday use and a pad with scrubbing strips for heavier cleaning. The water tank takes 13 oz of water and heats up under a minute which is very impressive for this type of cleaner. A handy measuring jug is included that can be clipped onto the handle. 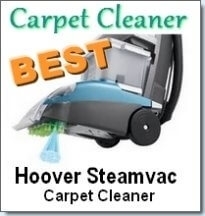 Steam kills 99.9% of bacteria, germs and mold. 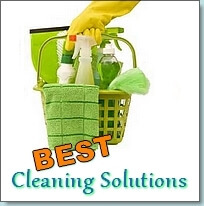 When cleaning with steam you never have to use harmful chemicals again. When using it as a steam mop you can turn it into a scrubber by flipping down the removable Scrubber Brush at the back of the mop head to take care of tough dirt that you would usually have to clean by hand. Included with your steam mop are fragrant discs to be inserted into the small pockets in the mop pads that will eliminate smells and will leave your floors smelling fresh and clean. The digital control sits on top of the Lift Off Pod. The ready light will blink while the water is heating up and will stop blinking when the steam is ready for use. After turning it on the amount of steam can be chosen by picking the Lo or High function. Customers love that the Bissell PowerFresh Lift Off Pet Steam Mop is two different but effective steam cleaners in one. 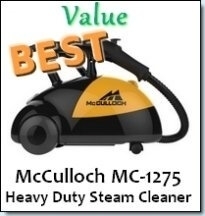 This saves on the cost of buying a second steam cleaner and also save storage space. The steam mop works well and can even be used as a scrubber by combining the scrubby mop pad and flipping down the scrubber brush at the back of the mop head. The unique scrubber brush can be removed to be cleaned after dealing with bad messes. The Lift Off Pod is lightweight and easy to handle making it possible to take it everywhere in the house while cleaning counter tops, grout, around taps, ovens, windows, sterilizing cutting boards and even steam your clothing. It is really good at removing stick on labels and adhesives. It heats up in a very short time and produces a lot of hot steam that will not only clean but also sanitize your home. If you have arthritis you will love that it steams continuously and that you don’t need to struggle to hold a trigger down to produce steam. There are more attachments that you will know what to do with. A really great feature is that there are colored duplicates of some of the attachments so that you can use the blue ones in the bathroom and the black ones in the kitchen. 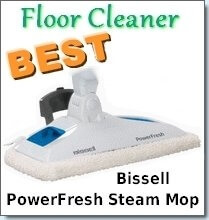 I found as much complaints as compliments about the Bissell PowerFresh Lift Off Pet Steam Mop indicating that although this steamer is well liked there are some features Bissell may want to reconsider when developing newer models. The water tank is very uncomfortable to fill. You need to put the machine on it’s side, fiddle with a flimsy plastic flap to open it and then struggle to fill it with the measuring cup (no funnel is provided) through a tiny opening. One consumer mentioned that he replaced the fiddly triangular cap with a cork to make opening and closing the tank easier. The water tank should ideally be removable for easy refilling. Steam is continuously produced meaning that you won’t be able to steam, then wipe and then steam again. The only way to control this is to turn the machine on and off as you clean giving rise to another set of problems. When starting to steam some condensation happens and water will drip from the spout before real steam is produced which is messy. Also when you turn the machine off it will continue to drip and even sputter for a few seconds making even more of a watery mess. A steam on demand trigger that can be set to steam continuously will be the answer to this issue. Some consumers said that there are too many unnecessary attachments and would have preferred to have more mop pads included instead. The continuous steam means that the mop pads become soaked quicker than preferred and a second dry mop pad to replace the wet one would be a nice feature. When using the extension hose on the Lift Off Pod it is easy to pull the light weight Pod over and have it drop and break.